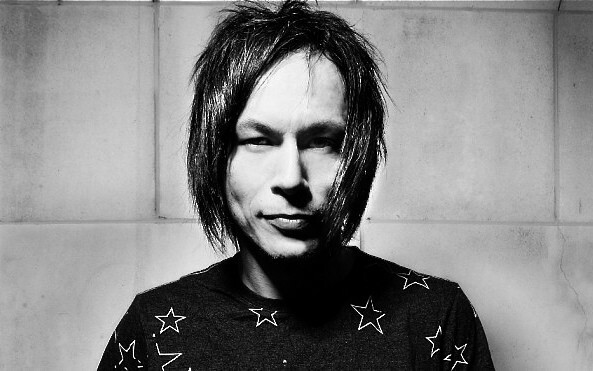 A true veteran of the UK Techno scene, Luke Slater’s Planetary Assault Systems project has been in the business of providing gritty peak-time dancefloor Techno since the early 90s, and with the release of a three track EP for his own Mote-Evolver imprint imminent, the Reading born artist is showing no signs of letting up anytime soon. Over Slater’s lengthy career he has clearly developed a good sense of himself and where his music fits, evident from how well this latest ‘No Exit’ EP fits in alongside the clamorous releases of Psyk or Developer, who have contributed to the 2006 founded label previously. Indeed, opener and title track ‘No Exit’ feels something like a heavily sedated version of Psyk’s ‘Arcade’. Chiming polyrhythms float over pounding bass and gently shuffling percussion. The way in which Slater leads out of the track is particularly clever, as his bell like melody seems to stumble over itself, before gently filtering out through the closing minutes. Given the similar use of chiming melodic elements in second track ‘Undertow’, ‘No Exit’ makes for a fitting opener setting the tone for the rest of the record. Whilst through ‘No Exit’ these melodies were given central focus however, through ‘Undertow’ they provide a subdued backdrop to Slater’s trance-inducing rhythms and ghostly atmospherics. Continuing to grow progressively darker, closer ‘Nanendi’ is a phantom-like track, despite its rather dry, conventional opening. Roughly a minute and a half in, Slater sets the track down a different course - muffled air raid sirens and piercing filtered beeps shimmer over a cloudy low-end, feeling like the disturbing, barren aftermath of some kind of nuclear fallout. Expectedly, the release highlights that Slater’s originality has only increased over his long-standing career (not to mention his now masterful production skills), providing an EP of characteristically sweltering early-hours Techno, as infectious as it is unsettling.